Outrigger Enterprises Group and its affiliates (referred to collectively as "Outrigger") endeavor to provide information that is accurate and up-to-date. However, errors and omissions do occasionally occur. We advise visitors to our site that all published information is subject to change, correction or deletion. We apologize in advance if any mis-information creates an inconvenience for you. Information, ideas, text, logos, images, graphics, photographs, audio clips, video clips, formats, and software contained on waikikibeachwalk.com are the exclusive property of Outrigger or its content contributors. This content cannot be copied, reproduced, or used without written permission from Outrigger, except for personal, informational, or non-commercial purposes. Waikikibeachwalk.com contains logos, trademarks, service marks and design elements that are proprietary to Outrigger. These trademarks are protected under U.S. and international laws and cannot be copied, reproduced or used without written permission from Outrigger, except for personal, informational, or non-commercial purposes. 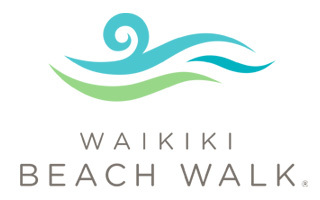 You may download and reproduce information on waikikibeachwalk.com solely for your personal, informational, or non-commercial use. However, we advise you of the following: Site content may not be modified, published, displayed, leased, sold, traded or transferred in any way. Software may not be re-engineered in any way. Copyrights and proprietary notices included within the website may not be deleted or altered in any way. Outrigger is not liable for any type or loss, injury or any type of damages arising from the use of this site, including information provided by other companies contributing content to this site. The site is provided on an "as is" basis without warranties of any kind, either express or implied, including and not limited to warranties or title or implied warranties of merchantability or fitness for a particular purpose. By using this site, you agree to all of the terms related to privacy and use of information provided by you. © Copyright 2015 Outrigger Enterprises Group, 2375 Kuhio Avenue, Honolulu, Hawaii, 96815-2939. All rights reserved.